We are parents, and we have seen how much pressure is put on our kids to spend their money (and ours) by everything from misleading advertising and internet scams to carnival games and con artists. So we commissioned a new type of school assembly program to give young consumers the knowledge and tools to avoid being taken advantage of. 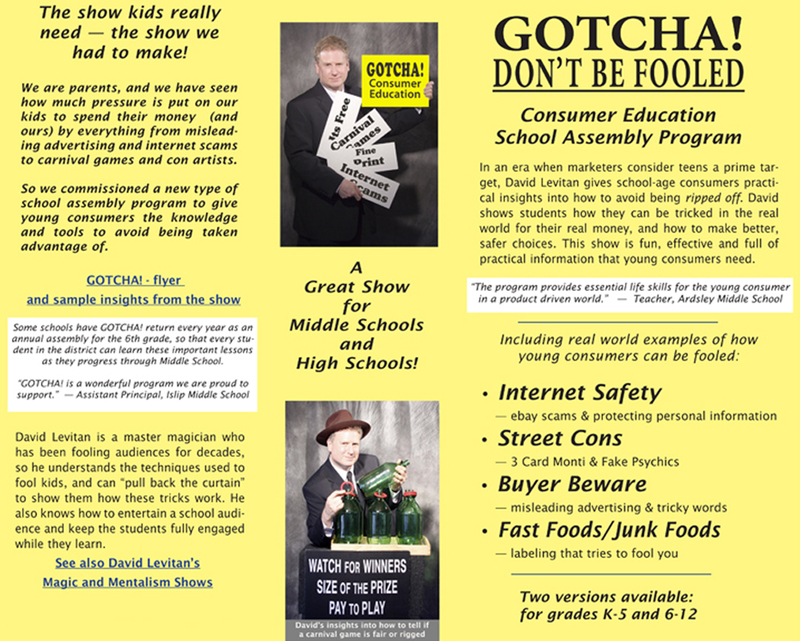 A Great Show for Middle Schools and High Schools! Some schools have GOTCHA! return every year as an annual assembly for the 6th grade, so that every student in the district can learn these important lessons as they progress through Middle School.